Watch the night sky glow at the Sky Lantern Festival. After jamming to live music, playing games with friends and family, and visiting food and merchandise vendors, attendees release lanterns full of dreams, goals, and wishes into the atmosphere. Let’s bring it back down to Earth now. The Water Lantern Festival is similar to its sky counterpart, except this time attendees release the brightly lit lanterns into the water. Attendees can write a message to a departed loved one, dreams, goals, wishes, or anything else on a lantern and let it float away into the distance. The fleet of lanterns on the water is one of the most beautiful sights you’ll ever see. Now lets go BIG. 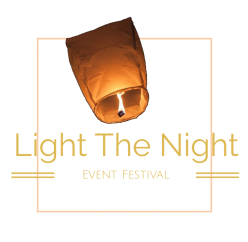 The Desert Sky Lantern Festival is similar to its sky counterpart, except this event goes all out with a two day event, 2-3 times the attendance, additional activities, vendors, and includes carnival rides and additional live entertainment not featured at the original Sky Lantern Festival. After jamming to live music, watching live entertainment, playing games with friends and family, riding some carnival rides, and visiting food and merchandise vendors, attendees release lanterns full of dreams, goals, and wishes into the atmosphere. The Tethered Sky Lantern Festival is very similar to its sky counterpart, except with this event attendees release the brightly lit lanterns into the sky to float above the festival area. After jamming to live music, playing games with friends and family, and visiting food and merchandise vendors, attendees release lanterns full of dreams, goals, and wishes into the sky above them to float and light the sky.